Jimmy Scott performs at the New Orleans Jazz & Heritage Festival in 2001. Scott was labeled Little Jimmy Scott by bandleader Lionel Hampton in the late 1940s. Hampton also delivered the first of many professional slights in 1949 when he left Scott's name off on an early hit, "Everybody's Somebody's Fool." Scott's career seemed promising after he left Hampton's orchestra. He recorded for various independent labels and toured with a revue run by dancer Estelle "Caledonia" Young that included R&B singer Big Maybelle and comedian Redd Foxx. Throughout the early '50s and '60s, Scott recorded for various indie labels including Savoy, where he was under the tight control of owner Herman Lubinsky. 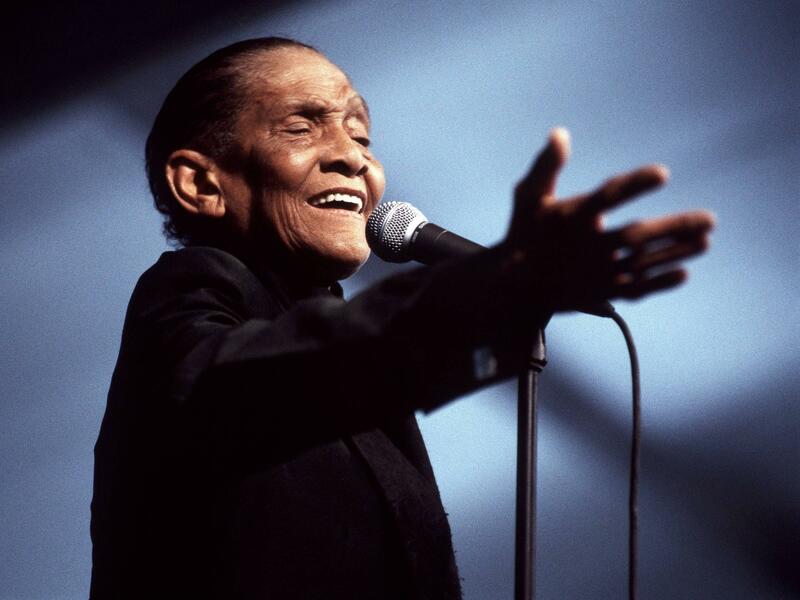 According to Scott's 2002 autobiography, The Life of Jimmy Scott (written with David Ritz), Lubinsky halted production of a 1963 album that was personally supervised by Scott fan Ray Charles for his own Tangerine label. Lubinsky used legal proceedings to halt distribution, claiming Scott was under contract to Savoy. The album was eventually rescued and released in 2003 and has been widely hailed as one of the great jazz vocal albums. Despite his absence, Scott maintained friends and fans in the music business, including legendary R&B producer Doc Pomus, who requested that Scott sing at his 1991 funeral. A record executive in attendance heard the performance and signed him to a record contract on the spot, kick-starting Scott's second act. This time adulation came rushing in, resulting in a string of albums that received both popular and critical acclaim. He even appeared in the final episode of the singular TV hit Twin Peaks. For most of his nearly nine decades Scott's life and art were affected by loss: first his mother's death when he was 13, then the personal slights and missed opportunities in his fractured career and decades of anonymity away from the record business. In 2000, The New York Times called him "perhaps the most unjustly ignored American singer of the 20th century." And yet in a late-career interview Scott was philosophical about the bad breaks he had caught along the way. "I've learned that music is such a healer," he said. "As long as I could sing my songs, I wasn't as angry about what had happened, about being shoved back for this or shoved back for the other. I'm a singer, and I never lost sight of that."